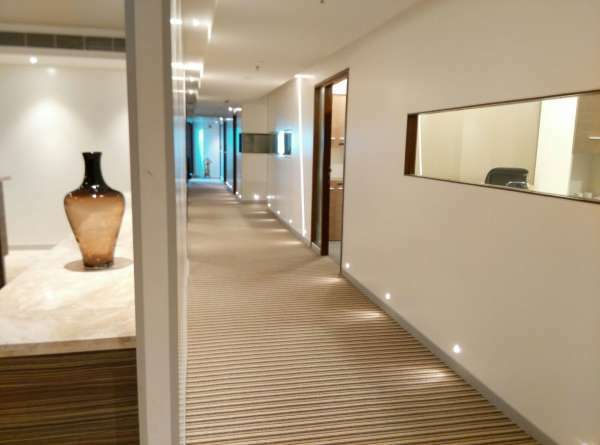 Prestigious location and flexible office spaces for doing business with Bangalore's top companies. Private parking without wait. Why work when you can cowork at Evoma? Your business location in Marathahalli, on Outer Ring Road, opposite Cessna Tech Park. Tech parks and business hubs such as Prestige Tech Park, Salarpuria HallMark and Embassy Tech Village all around you. Fast and easy parking and exit: Entry in and exit out of Evoma on to Outer Ring Road takes less than 30 seconds. The facility has adequate parking for all our clients, supplemented by more parking spaces along the service road. You can occupy a couple of coworking seats to start with, expand to your own private office, and then take up an entire floor if you want to expand. Scale your coworking space as needed without disrupting your business in any way. It's also a business center, which means we handle everything from reception to Wi-Fi, maid service, maintenance and security. You just come to work and do business with the largest companies in Bangalore all around you. Staffed Reception - We'll field your calls, welcome your visitors, and ask them to wait in the lounge for you. Meeting rooms - Invite your clients for meetings. Evoma has meeting rooms and a board room with A/V equipment for presentations. Virtual Office Services - Your own prestigious business address in Bangalore, along with mail and call forwarding. Mentorship - Guidance and technical assistance from successful business leaders at Evoma. Business support - Evoma Partners taking care of all your legal, HR, accounting, registration and other corporate compliance needs.